 In order to answer customers’ questions and concerns when shaving themselves, we have created a section in which we would like to showcase some products and tools we work with in eliveli men barbershop, the same ones you could use for your daily shaving routine. Shaving products: soaps, creams, aftershaves and body lotions. Shaving tools: brushes, razors and blades. A French soap that is entirely handmade, from natural components which protect and look after your skin. MARTIN DE CANDRE facilitates sliding and blade performance, leaving you with healthy and hydrated skin and a spectacular aroma. We have been looking forward to enjoying this fabulous shaving soap, for both our benefit and that of our clients. Once you try it, you will not be able to stop using it! Eucalyptus and menthol help you enjoy a refreshing sensation. Beside others brands, AMERICAN CREW is a new product to apply by hand. German classic shaving products: Their shaving creams’ aroma and soft foams will be mixed with their aftershaves to success a top shave experience. Full English classic shaving range.